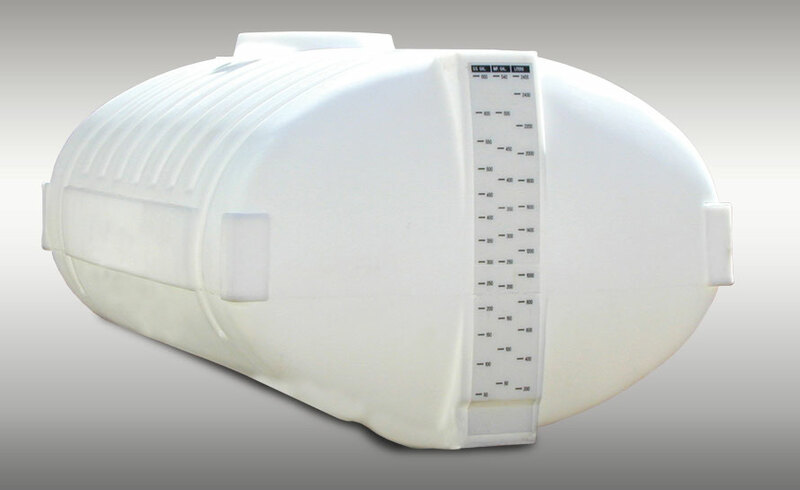 Freeform: A division of Bourgault Industries Ltd.
Elliptical sprayer tanks are available in translucent white or black. (Black eliminates algae formation.) All translucent and black tanks are potable and manufactured from materials that meet FDA Regulations 21 CFR 177.1520 and may be used to contain materials for human consumption. All tanks have UV20 protection to prevent deterioration from sunlight and come standard with a 16″ vented lid and a gallonage indicator. The 540 and 833 imp. gal. tanks are typically used to contain liquids with densities up to 14 lb per gallon. The 1600 imp. gal. tank is heavy duty rated for liquids up to 20 lb per gallon. The Elliptical sprayer tanks carry a one (1) year warranty against defects in workmanship. Auxiliary sprayer tanks are available in translucent white and black. All translucent and black tanks are potable and manufactured from materials that meet FDA Regulations 21 CFR 177.1520 and may be used to contain materials for human consumption. All tanks have UV20 protection to prevent deterioration from sunlight. The tanks also come standard with a 16″ vented lid, bulkhead fitting and built-in sump for more complete drainage. These tanks are typically used to contain liquids with densities up to 14 lb per gallon. Auxiliary Sprayer tanks carry a one (1) year warranty against defects in workmanship. Freeform Plastics was established in 1990 to produce rotationally moulded components that meet the high quality requirements of Western Canada’s leading agricultural equipment manufacturers. Freeform Plastics has designed moulds and manufactured an extensive array of high quality plastic components that have been used in a whole host of applications; including agriculture, mining, forestry, construction, and transportation. Error: Error validating access token: Session has expired on Saturday, 13-Apr-19 09:02:04 PDT. The current time is Thursday, 25-Apr-19 18:59:45 PDT.